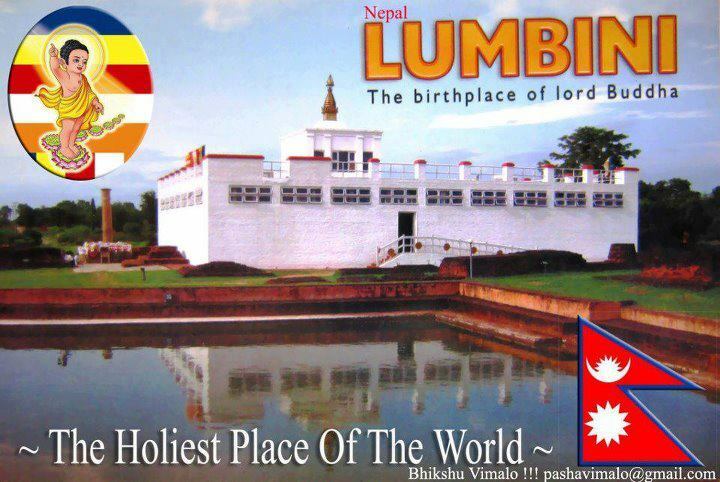 Nepal plans to develop Lumbini, long identified as the birthplace of Lord Buddha, as a World Peace City. 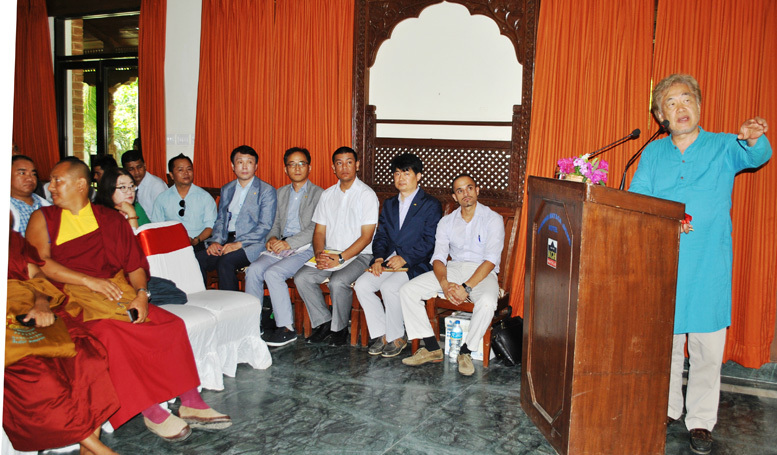 A final master plan to turn the area in southern Nepal into a global hub for peace and a centre for Buddhist learning was unveiled recently. The proposal by the Korean International Development Agency envisages an investment of nearly $800 million. Many argue that despite various attempts to convert Lumbini as the “Mecca of Buddhists”, the area is still neglected and requires billions of dollars in investment. The latest developments came months after archaeologists uncovered remains of what is believed to be the earliest ever Buddhist shrine within the main Maya Devi temple. 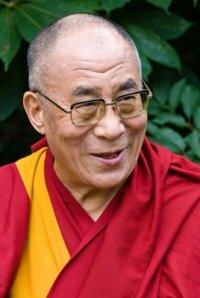 Many experts believe the discovery may settle the dispute over the birth date of Siddhartha Gautama, who became the Buddha. Anbarasan Ethirajan was given rare permission to film inside the Maya Devi temple in Lumbini. 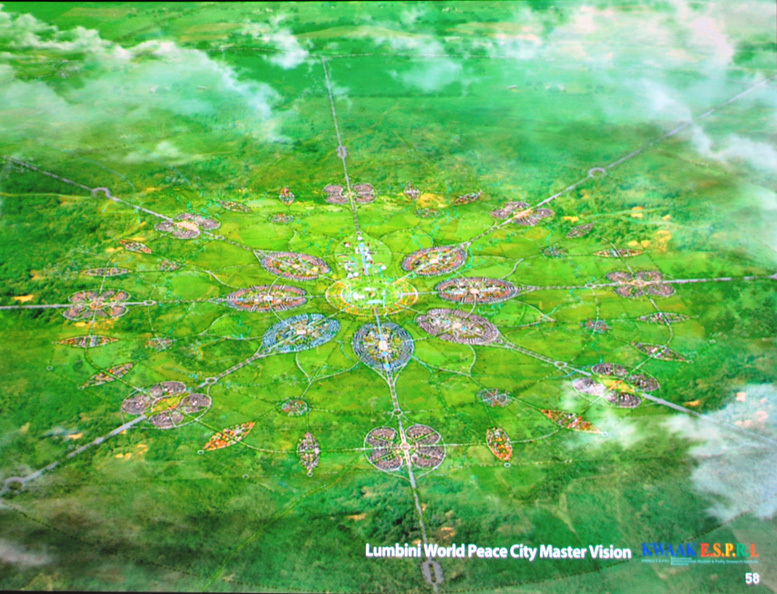 June 27, Lumbini: Final Master Vision Plan to develop Lumbini, the birthplace of Buddha, as the World Peace City (Lumbini Vishwa Shanti Nagrama) with an estimated budget of nearly 762 million USD was unveiled by Urban Planner and Designer Professor Kwaak Young Hoon today in a symposium amid the major stakeholders in Buddha Maya Garden Hotel, Lumbini. After a three-year dig, archaeologists may have found the Buddha’s exact birthplace and more details about when he was born. Creating misinformation on Buddha birthplace from Indian side is not a new issue and Nepali side is very furious from this kind of regular drama and attempt to take an unnecessary advantage from Buddha’s Global importance. A recent Hindi language television serial, “Buddha” launched by Zee TV Network already frustrated Nepalese by Indian over interference. 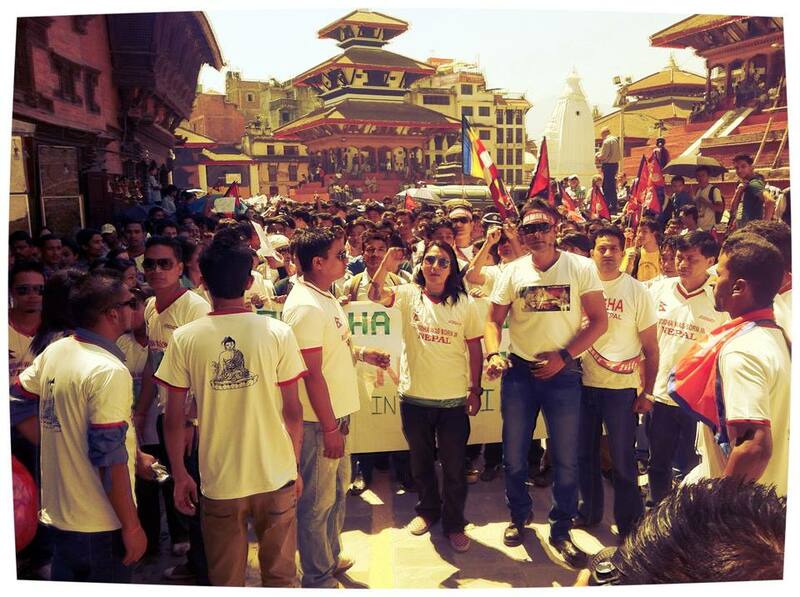 In reaction Nepalese did not limit them only in social medias, but also on September 13, staged demonstrations in the streets of Kathmandu against the serial, Nepal Cable TV Association blocked the channel when the new series on the life of Buddha premiered on Sunday (Sept. 8) and which prompted the Indian Embassy in Kathmandu to post hastily the next day, September 14th, on its Facebook wall, “The question of where Lord Buddha was born was settled over 2000 years ago when Emperor Ashoka installed the pillar with his inscription in Lumbini. Buddha was born in Lumbini, which is in Nepal.” And also actor and TV presenter and commentator Kabir Bedi Twitter apology appeared, “Yes, my friends, I mis-spoke. Forgive me. 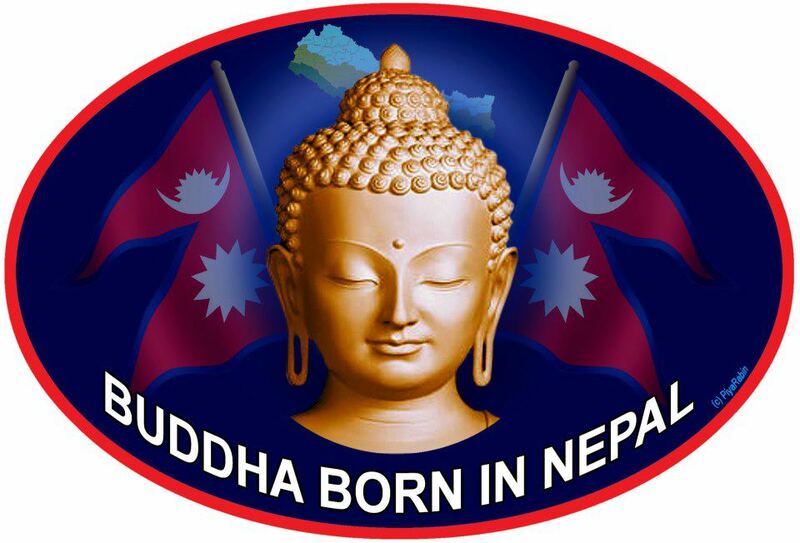 Lord Buddha was certainly born in Lumbini, Nepal. My apologies to all whose feelings were hurt.” And this issue got space in International papers like Huffington Post and Washington Post as well. I bring with me the message of peace and non-violence fromLumbini, the birthplace of Gautama Buddha, the apostle of peace, and the greetings and best wishes from the Government and people of Nepal. 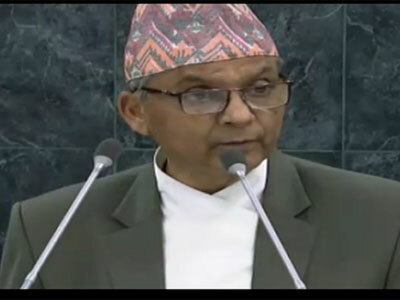 Nepal has an unflinching faith inthe principles and purposes of the United Nations as enshrined in its Charter.Nepal upholds the centrality and indispensability of the United Nations in forging global peace and security, development and humanfreedom as well as its role in the promotion of multilateralism befitting the need of our age. Allow me to congratulate you, Mr. President, on your assumption of the Presidency of the 68th Session of the United Nations General Assembly. I repose full confidence in you to steer the deliberations of the Assembly to a fruitful conclusion and assure you ofour full cooperation in the discharge of your important responsibilities. I take this opportunity to extend sincere thanks to the outgoing President, His Excellency Mr. VukJeremić, for having successfully presided over the Sixty-seventh session of the Assembly. I would like to express my sincere appreciationto His Excellency Mr. Ban Ki-moon, Secretary-General of the United Nations for his able and visionary leadership and excellent reports on issues before the Assembly. While debating the Buddha and recent television serial on him and the news reported by Hindustan Times  and also by The Washington Post and The Huffington Post  from down here, it may be worthwhile writing something today again on the other 12 part Buddha film made by a professor of history from Odisha who also had discussed with me after the publication of my paper on the Buddha birthplace on February 14, 2010. I have no idea how he has made those 12 part films but his writings seemingly based on later day literature such as Vamsa Gathas from Ceylon, that is to say from Shri Lanka and other local publications, I assume they are also like what Zee TV aired recently. 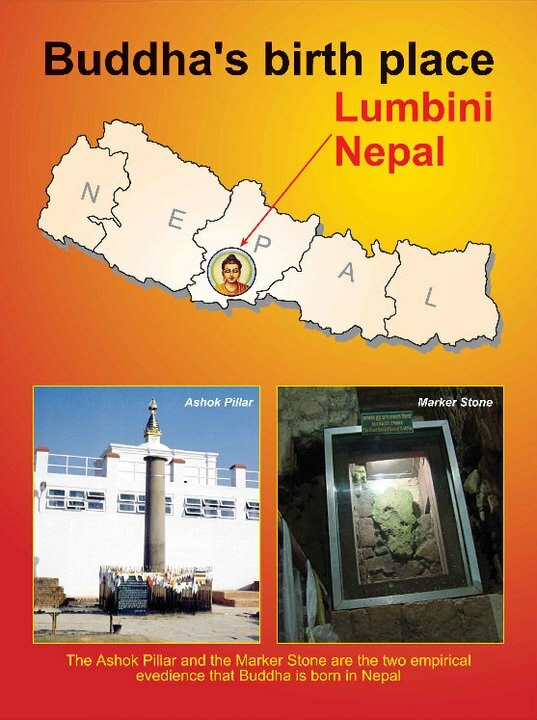 The Buddha was born in Lumbini, which now is in western Nepal Tarai. The 249 BC inscription on the Lumbini Ashokan pillar reading, “the Buddha was born here in Luminigame” is the evidence, which cannot be contravened otherwise. There are other historical and archaeological evidence that prove the Buddha being Lumbini born and now Lumbini, the Buddhist holy land, is in Nepal. 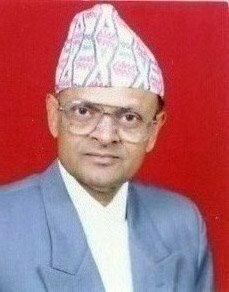 The people of Nepal and others of Nepalese origin elsewhere in the world, regardless of their academic achievements, socio-economic standings and political orientations, believe the Buddha was born in Nepal but feel very offended outright when media publicize otherwise. The Buddha is considered one of the greatest historical personages or Bibhutis – so to say, one of the national heroes of Nepal. 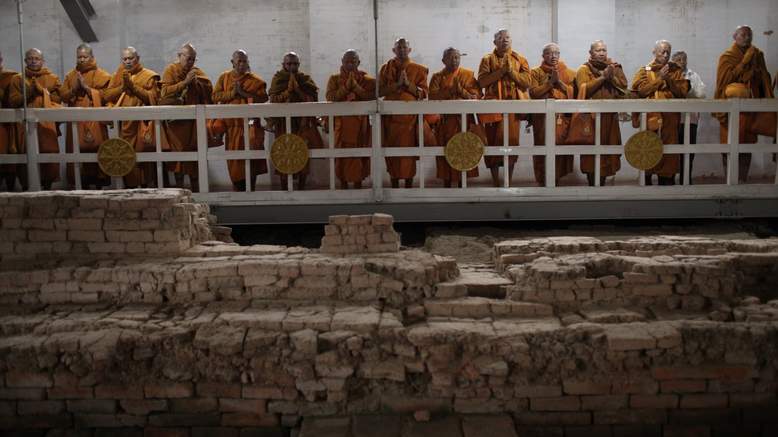 An international team of archaeologists has begun a three-year survey, coordinated by the UNESCO of the archaeological ruins of Lumbini, the birthplace of Buddha in Nepal. 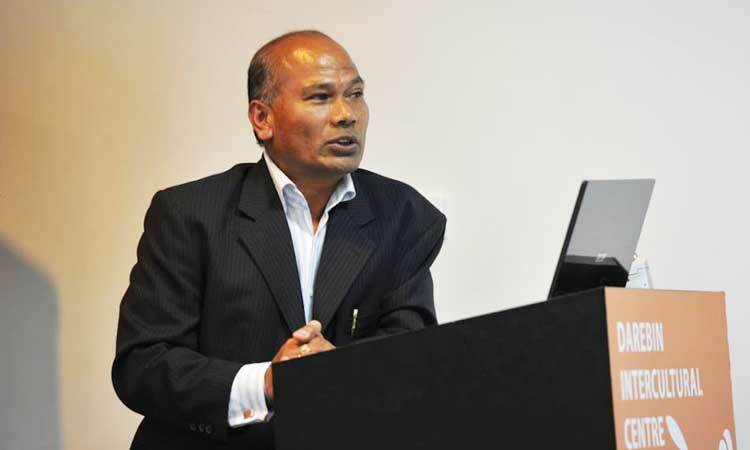 The team of archaeologists, including experts from Nepal’s Department of Archaeology and the Lumbini Development Trust, is directed by Robin Coningham, UNESCO Archaeological Expert and Professor of Archaeology, University of Durham. 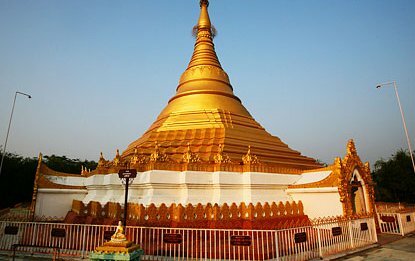 The UNESCO, after careful examination all facts and evidences, has already recognized Lumbini as the Buddha’s birthplace and a World Heritage Site’. (RNS) Quick: Where was the Buddha born? To hear many Indians talk, you’d think it was India, where he attained enlightenment and gave his first sermon. 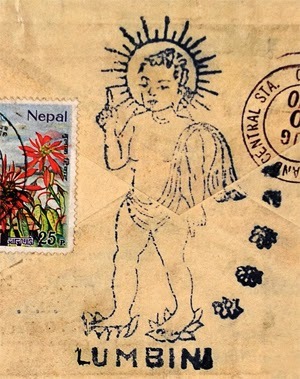 But the people of Nepal know better — and they are eager to correct misconceptions about the Awakened One, considered one of the world’s most revered figures. Next month, Nepal will circulate a new 100-rupee note with the imprint, “Lumbini: The Birthplace of Lord Buddha.” The currency is part of the government’s most recent effort to correct the record. It comes amid protests following a promotional video on the private Indian channel Zee TV, which claimed the Buddha was born in India. Authorities in Nepal said Monday that security will be increased at all major Buddhist shrines following the bomb blasts Sunday at the Mahabodhi temple in India. A security alert has gone out in Nepal, which is home to Lumbini, the birthplace of Lord Buddha. Kapilvastu, where the Buddha spent his early life, is also located in Nepal. The Buddha eventually attained enlightenment at Bodh Gaya. Prime Minister Office, Canberra, Australia, 19th June, 2013 On behalf of the Nepalese community living in Australia Lumbini-Kapilvastu Day Movement Global Coordinator Ram Kumar Shrestha and Australia’s Sub-Continent Ministerial Consultative Committee Member Mahendra Lamsal jointly presented the gift of Buddha statue and peace wish letter to the Prime Minister of Australia Julia Gillard. 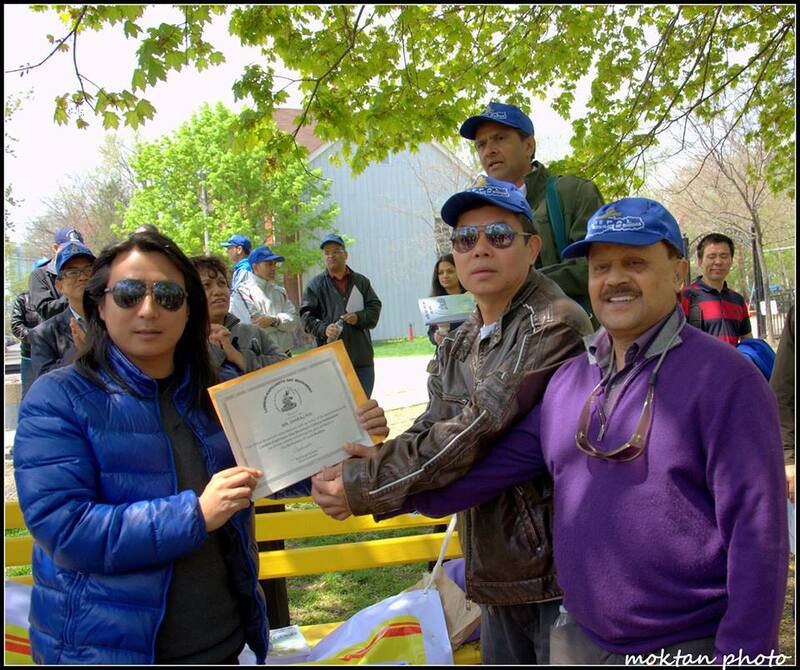 While presenting the gift Mr. Shrestha and Mr. Lamsal said that Buddha was born in Lumbini, Nepal and, hence; Nepalese community decided to present Peace symbol Buddha statue wishing peace in Australia along with its prosperous development. 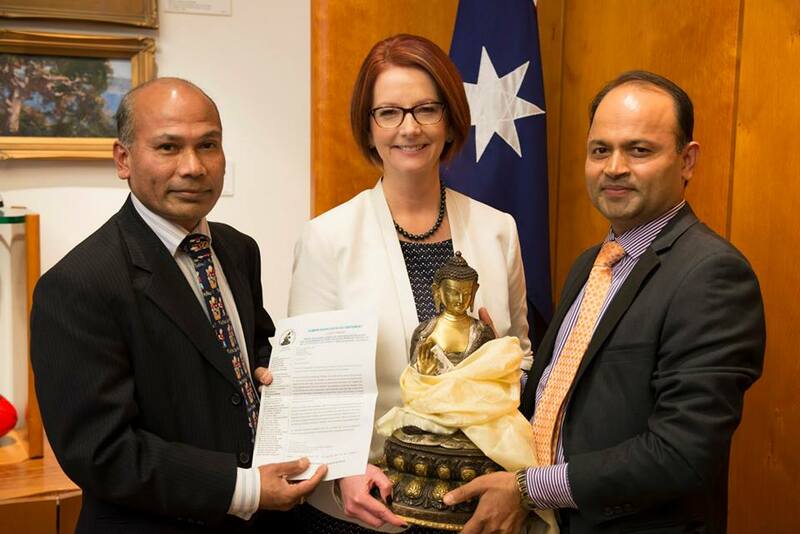 Prime Minister Gillard thanked for the gift and wish letter and expressed her happiness to have opportunity to decorate her office with the peace symbol Buddha. Immediately after the program Prime Minister Julia Gillard garnished her office show case by the Buddha statue presented by the Nepalese community. To the north-east of the arrow well about 80-90 li, we came to Lumbini (Lavani) garden. Here is the bathing tank of the Sakyas, the water of which is bright and clear as a mirror, and the surface covered with a mixture of flowers. 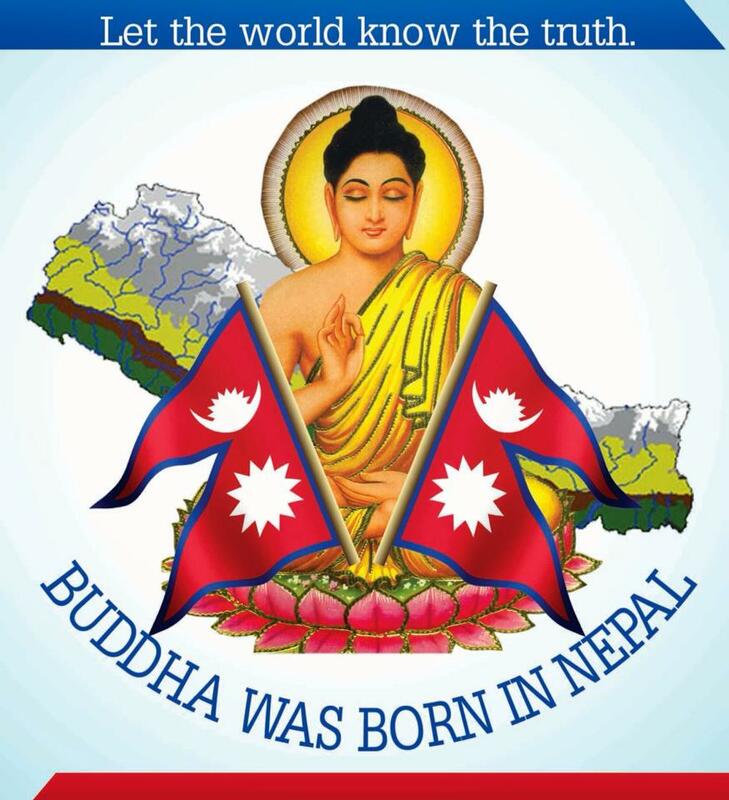 We are not going to prove that Buddha was born in Nepal. It is already proved. We just want to dismiss the misinformation and protect human rights of world tourists who actually want to go to Lumbini, Nepal – the birthplace of The Buddha – but going to the wrong place either due to the misinformation or bad intention. Participating in the petition, hence, is very important and help the petition by inviting and requesting your friends to sign. गुगल म्याप्को गम्भीर गल्ति??? 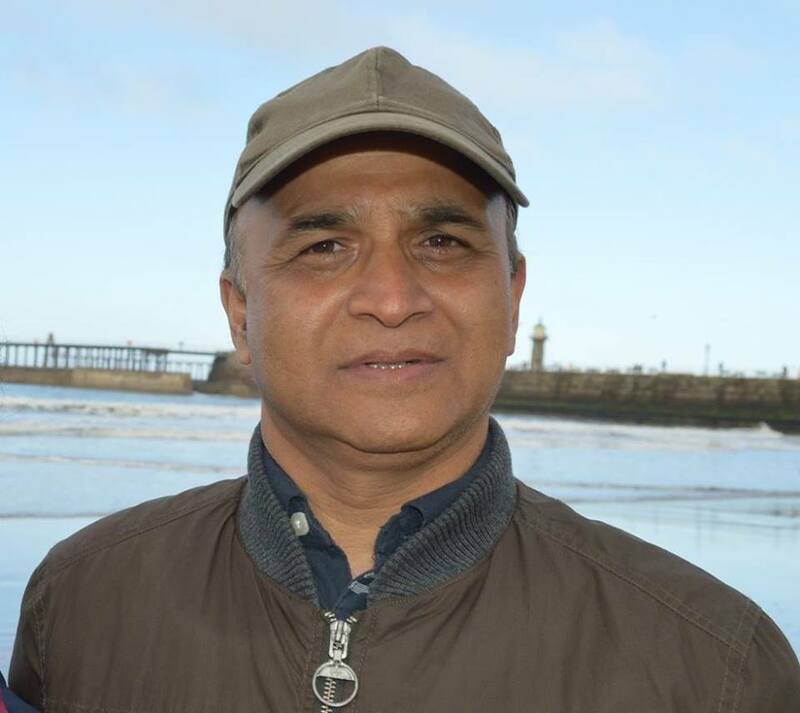 हरेक नेपाली ले जान्नु पर्ने !! सक्दो सेयर गरिदिनु होला !! 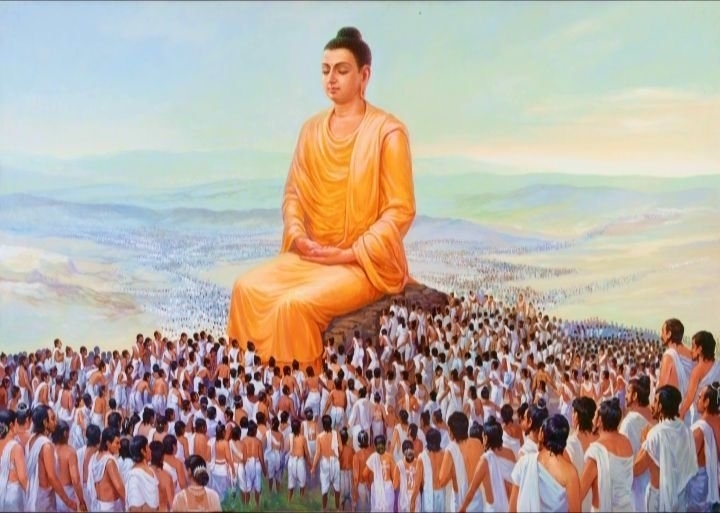 623 BC: Prince Siddhartha Gautama, who later becomes Buddha, is born in Lumbini. 249 BC: Emperor Asoka visits Lumbini and erects the Asoka Pillar with Pali language inscriptions in the Brahmi script to pay homage to Buddha’s birthplace. 350- 375 AD: Chinese Monk Sengtsai belonging to the Chin Dynasty visits Lumbini for pilgrimage and writes accounts of his visit. 399-413 AD: Chinese traveller Fa-hsien visits Lumbini and describes the place where Buddha’s mother, Queen Mayadevi, gave birth to Prince Siddharta and where the newborn was bathed. 1312 AD: Ripu Malla, King of the Malla Kingdom of Kathmandu, visits Lumbini. He is the last visitor to leave evidence of his visit prior to the site remaining in oblivion for centuries. 1896: General Khadga Shamsher, Governor of Tansen, organizes an expedition together with German archaeologist Anton Fuhrer. 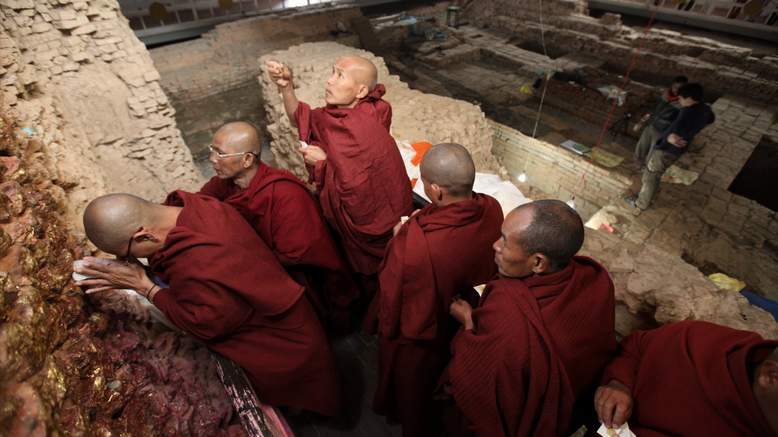 The Asoka Pillar, which marks Buddha’s birthplace, is re-discovered. 1899: Excavation by Purna Chandra Mukherji discovers the main piece of the Nativity Sculpture. Two additional pieces of the sculpture are found and joined together some 85 years later by Tara Nanda Misra.